HELLO DEAR VISITORS, IF YOU NOTICE YOU WOULD SEE WE’VE ALREADY ADDED A NEW ACTIVE CATEGORY: “HISTORY/CULTURE” ON T.I.N MAGAZINE A CATEGORY TO SHOWCASE OUR NIGERIAN PRIDE,CULTURE,LEGENDS, HEROES, AND INTERESTING STORIES OF THE PAST AS WE’VE NOTICED A LOT OF OUR READERS ALREADY LIKE IT. 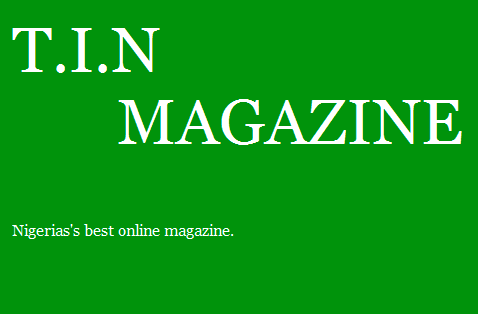 AND SO ALSO THE BIGGEST CATEGORY EVER ON T.I.N MAGAZINE IS GONNA BE LAUNCHED LATER THIS MONTH. THIS CATEGORY WILL BE THE BEST AND THE MOST INTERESTING OF ALL THE SECTIONS ON THIS PLATFORM. Read ALSO: Ex Super Eagles Goalkeeper Vincent Enyeama Full Biography,Life And News.